Are you struggling with moving your Farming Business from the Blue Book to the new online system? All Farmers use the ‘Blue Book’ to record their herd and activity on the farm, however with the Department of Agriculture increasingly moving towards online communications and all BPS applications having to be completed online, it’s never been more important that the farming community are equipped with digital skills. 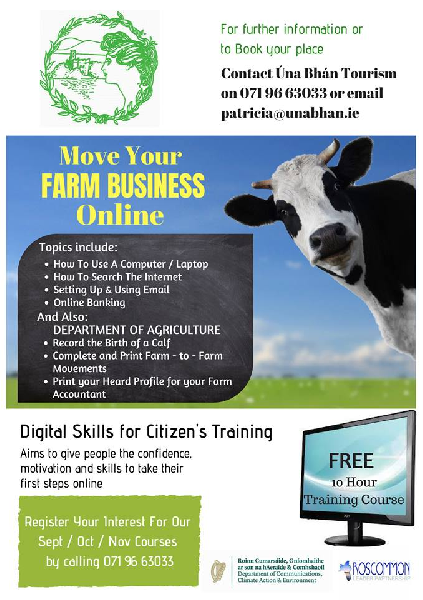 Úna Bhán Tourism are delivering FREE Roscommon LEADER Partnership Digital Skills Training Courses for the Farming Community (5 x 2hr training course) on various dates in Sept, Oct and Nov, please call Patricia on 071 966 3033 to Register your interest / Book your FREE course. 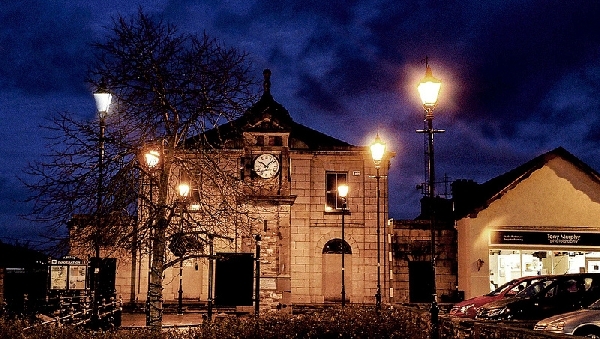 The training programme is funded through the Department of Communications, Climate Action and Environment (DCCAE) and Úna Bhán Tourism are delighted that Boyle Library are providing their venue to facilitate the training courses. This unique opportunity to develop digital skills in a fun and easy way (max 10 participants per course) to learn the basic functions for beginners or those eager to improve. The course includes how to set up an email account, send and receive emails / how to search the internet in a safe and secure way / Complete vehicle taxation online instead versus in paper form / Set up your own banking online account and learn how to bank on line. More importantly for the farming community the training will teach how to register your farm on Agfood.ie, which allows you to Record the Birth of a Calf; Complete and Print Farm-to-Farm Movements; & Print your Herd Profile for your Farm Accountant.